Stunning 8 x 10 photo signed by Edgar Mitchell , crew member (Lunar Module Pilot) of Apollo 14 (with Alan Shepherd and Stuart Roosa) . This official NASA photograph is in fine condition. 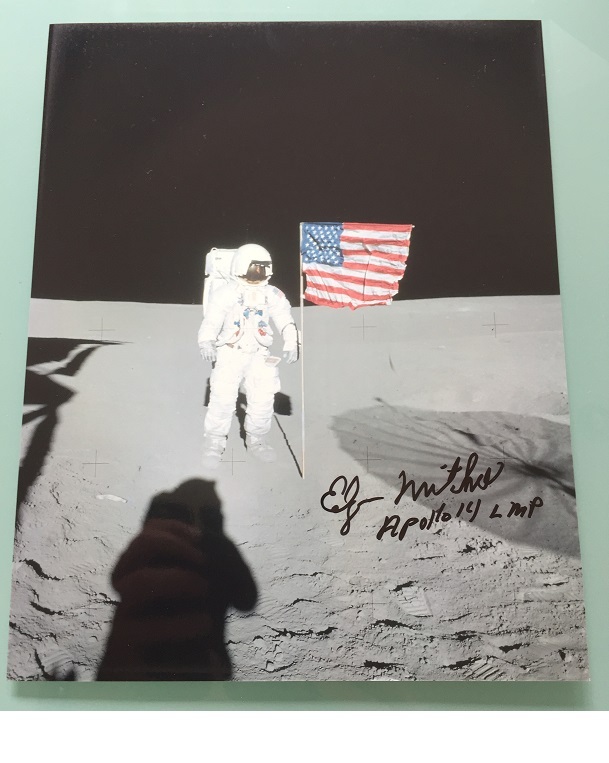 Michael Collins also adds "Apollo 14 LMP" as he was the Lunar Module Pilot for this historic Lunar landing. and experiments on the lunar surface. They collected almost 100 pounds of lunar samples for return to Earth. and first extensive orbital science period conducted during CSM solo operations.